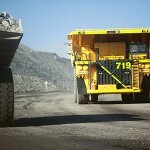 Bis is consolidating its presence in the underground coal sector with the acquisition of mining services group, UGM. Perth-headquartered Bis will strengthen its underground services business through the addition of UGM’s underground coal mining workforce. The acquisition will also increase Bis’ outsourced maintenance capability and grow its equipment hire fleet, including the addition of production equipment. Bis will add UGM’s mining services business, conveyor installation business, underground plant hire business and diesel services workshops. The deal does not, however, include UGM’s highwall mining and pipelion businesses, which will continue to be owned and operated under the ADDCAR brand. Mark Doyle, Bis general manager underground services, said the two companies had worked together for many years. “The acquisition is a natural fit for our business and will deliver strong synergies to our combined customer base,” Doyle said. “With our customers in mind the underground business added an in-house engineering team earlier this year. UGM was founded in 1997. Its headquarters near Newcastle are supported by operations in Queensland and New South Wales. 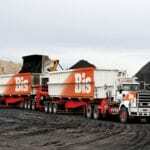 Bis chief executive officer Brad Rogers said the deal delivered ready-made expansion of the company’s existing underground business, which already offered the biggest underground hire fleet in Australia. Rogers said Bis was also looking forward to expanding its service offering through the addition of UGM’s mining services business. 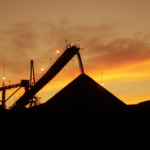 “The UGM deal reflects Bis’ clear growth strategy and helps deliver a critical element of that strategy – expansion of our underground capability for the benefit of Australian underground coal mining customers,” Rogers said.